Vascular Pathways was a medical technology startup focused on developing and commercializing novel vascular access devices, featuring the company’s proprietary integrated nitinol guidewire technology. 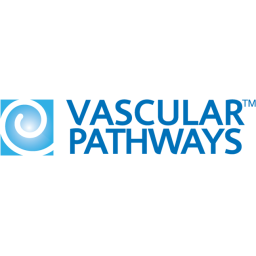 Vascular Pathways was sold to C.R. Bard in 2015. The transaction provides C.R. Bard with a best-in-class portfolio of peripheral vascular access technologies. Vascular Pathways volumes were increasing but their contract manufacturer’s Mexico site was having difficulty achieving their production goals. It was a critical time for Vascular Pathways as they were in the process of launching a next gen product that the company believed would make them an attractive acquisition target to a large medical device OEM. There was significant pressure from their investors to hit production numbers and have a successful next gen product launch. It was clear Vascular Pathways was not getting the same support from their CM as larger OEM customers. The CM’s multinational OEM customers demanded priority, and they had few resources to dedicate to a start-up OEM. After assessing the situation, BCS determined that this program still required significant engineering resources and that by bringing manufacturing back to the U.S. from Mexico, the benefits would far outweigh any potential cost savings of manufacturing in Mexico. Our team worked with Vascular Pathways to find a better partner fit and identified several sources that could not only take on the existing product but also execute on the next-gen product launch. With the guidance of BCS, Vascular Pathways selected a new contract manufacturer in California with strong expertise in injection molding, giving them complete control of that part of the supply chain. BCS also worked with Vascular Pathways to move manufacturing operations from Tijuana to the California-based contract manufacturer. The new contract manufacturer (CM) had a talented — but very young —engineering staff with limited experience. Furthermore, they did not have any experience manufacturing a complex, 25 component finished assembly involving adhesives, leak testing, needles, springs and managing the purchased components. To help mitigate these weaknesses and risks, Vascular Pathways chose to engage external resources from BCS to act as the organization’s on-site eyes, ears and hands and to engage on-going and successfully project manage the transition to the new CM. The success of this project enabled Vascular Pathways to become an attractive target to a large medical device OEM— Bard (now part of Becton Dickinson) — who subsequently acquired the business. The assignment lasted approximately six months with BCS providing engineering and project management, supporting the transfer of the existing production and the launch and scale up of the next generation product line. Transfer of the existing product line from the Tijuana CM to the California CM including manufacturing and testing equipment (tipping, dispensing), inspection and assembly fixtures, procedures, etc. Transfer of existing injection molds from the short run design shop, bridge tooling for the next gen, and new tooling for the scale up. Reviewed drawings and specifications and helped improve supplier communication. Managed the supply chain of sourced components, coordinating suppliers, managing inventory, making sure orders were placed. Helped implement the sourcing of non-molded components and supplies in the new CM’s ERP system. Advised and assisted in the validations of equipment, processes, and testing.